We are involved in offering the best quality of High-Temperature Wheels. These High-Temperature Wheels are extensively used in a wide range of applications including bakeries, meat, etc. Further, these products are available in the market at reasonable rates. Our products are easy to use and highly durable in nature. As per the requirements of the customers, we are involved in offering the best quality of High-Temperature Caster Wheels 580. 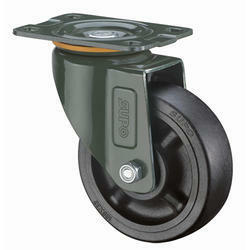 This Twin Wheel Chair Nylon Caster is extensively used for the bottom of our homemade PVC pipe pool storage bin. Further, these products are available in the market in bulk at affordable rates. Looking for High Temperature Wheels ?